Pastor Tim grew up in Northeast Ohio and attended Emory & Henry College. While a student he discerned a calling to pastor churches in East Tennessee and Southwest Virginia. Pastor Tim earned his Master of Divinity from Duke Divinity School. Tim is married to Christina, an elementary school teacher. They have two children and two dogs. Pastor Tim's vocational passions include leading communities in Christian worship, and helping churches to discover their calling to serve God in the midst of the world. Person interests include walking, biking, backpacking, reading and trying new recipes for the grill and smoker. 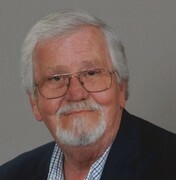 Jim Kennedy began his directing career at his home church in 1975. In addition this career, with a masters degree in Choral Conducting from UT School of Music, he also has thought music in the Knox County School system since 1982 serving eight years at Rule High School and 27 years at Powell High School where he is presently employed. Jim lives in Maryville with his son, Nolan. Sylvia has been a organist / pianist since the age of 18, performing and accompanying for denominations nationwide, receiving her training from the South's leading "Theatre Organist" in her hometown of Tampa, Florida, and serving as military musician at Ft. Sill, Oklahoma during the Vietnam War. Sylvia is delighted to serve St. Paul's healthy spiritual family. A native East Tennesseean, Doug spent more than 25 years in Houston where he earned his degree in Business Administration/Economics and pursued a career in banking. He returned to Knoxville after his retirement in 2004. George grew up in Fountain City, just a few streets over from the church and is very commited to the community. A jack of all trades, in his spare time, he enjoys restoring Chevy trucks and listening to live music.